Fluid processing professionals across the country turn to Phantom Pumps when their worn out or broken deep well pump equipment needs to be replaced. Phantom Pumps is the manufacturer with high and low pressure centrifugal pump lines that are filled with everything from shallow and deep well submersible pumps, industrial water pumps, and irrigation pumps to chemical and abrasion resistant pumps, mining pumps, sewage pumps, trash pumps, and more. At Phantom Pumps, we manufacture our pumps to meet and exceed the highest industry standards, and we ensure our strict quality standards are always met by assembling, testing and packaging all of our pumps in the United States. The self-priming designs on centrifugal models that are available from Phantom Pumps help keep operational costs down. Labor costs are reduced at facilities utilizing self-priming pumps because installation is easy and manual priming is not required after an initial prime. 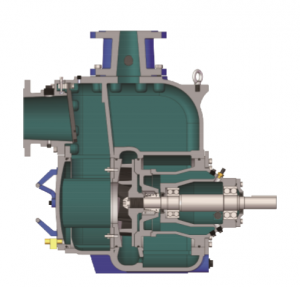 In addition, pump labor and equipment costs are often less because self-priming pumps don’t have vacuums, foot valves or ejector pumps that require additional inspection, maintenance, repair or replacement. We offer a variety of materials of construction options since requirements are different for agricultural organizations using irrigation pumps, chemical operations processing fluids with abrasion resistant pumps and other organizations utilizing other various applications. Fluid processing organizations in Florida, Georgia, Virginia, Texas, Tennessee and beyond have found that repairing or replacing Gorman-Rupp, All Prime, ESCO Pumps and other brand name deep well pump models with compatible and interchangeable centrifugal pumps and replacement parts from Phantom Pumps is the best way to reduce operation costs without sacrificing productivity. Contact an industrial pump expert at Phantom Pumps today to learn more about our cost-effective pump solutions and unparalleled technical support.